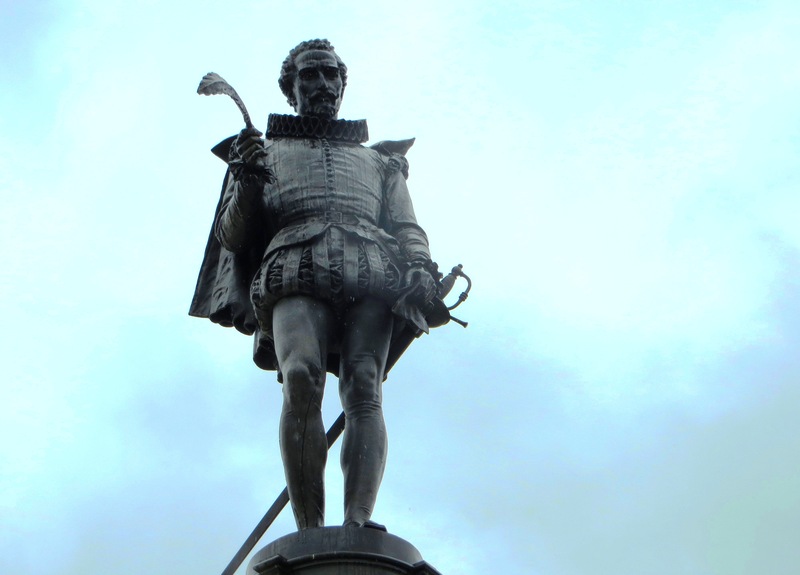 Northern Spain – Alcalá de Henares and Cervantes, The World’s Greatest Novelist! On returning home I did as I promised and bought a copy of Cervantes’ ‘Don Quixote’. I found it on Amazon for the bargain price of £1.99, I ordered it together with a book on the history of Spain and it arrived three days later. Since publication in 1605 it is reputed to be the most widely read and translated book on the planet after the Bible. I tried to read it once but found it a bit heavy going so gave up quite quickly but as we walked along I resolved to give it another go upon returning home. It is the story of a man who believes that he is a knight, and recounts his adventures as he rights wrongs, mistakes peasants for princesses, and “tilts at windmills,” mistakenly believing them to be evil giants. As one of the earliest works of modern western literature, it regularly appears high on lists of the greatest works of fiction ever published. In 2002 a panel of one hundred leading world authors declared Don Quixote to be the best work of fiction ever written, ahead even of works by Shakespeare, Tolstoy and Dostoyevsky. Cervantes has also been credited with shaping modern literary style, and Don Quixote has been acclaimed as “the first great novel of world literature”. This entry was posted in Europe, History, Literature, Spain, Travel, World Heritage and tagged Alcalá de Henares, Cervantes, Culture, Don Quixote, Life, Spain, Spanish Castles, Tags: Castilla-La Mancha, Windmills. Bookmark the permalink. I tried it but gave up after about 20 pages when I was a youth. I seem to remember it being badly translated and not making a lot of sense. I wonder if there’s a film version to watch? I agree with you – film versions are always a good option! I did the same as a bitofculture, read a chapter or two then gave up. The film is ok.
Great post Andrew. I’ve also tried to read the book but didn’t get very far because it was so tedious. I feel so much better now. I read when we were on a sking holiday in Norway after I fell down a bank and decided never to ski again. Can’t say that I really enjoyed it that much, probably becaause it was written at a time when people had a longer attention span than I. Having said that I’m about halfway through Varney the Vampire a Victorian penny dreadful of 1167 pages even ifg I had to take a break and read a book about dinosaurs this past week! I tried reading it but the font is so small and squashed like you say. I saw a stage production at Stratford (Ontario) and it was captivating. This, I think, are the words of a storyteller, not merely a writer of words to be read. But anybody who has ever laughed at ‘Only Fools and Horses’ ‘Some Mothers . . ‘Till Death do us . . . Morcambe & Wise . . .Tony Hancock will already have enjoyed the Don Quixote storyline – the dreamer with head in clouds versus down to earth reality (Sancho Panza). What makes Don Quixote a classic is that it was the first of its kind. There have been many since and they’re still coming. I suppose it could be read on a Kindle/iPad and we have the choice of making the font any size we wish.